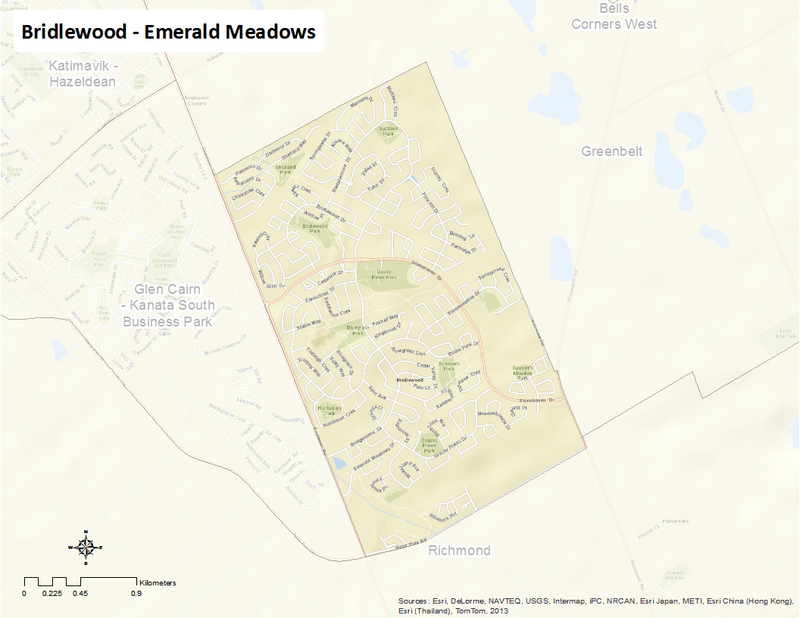 Bridlewood-Emerald Meadows is bounded by the Greenbelt to the north, Hope Side Road to the south, the Greenbelt and Richmond Road to the east and Eagleson Road to the west. This area was first settled in the early 19th century as part of the Township of March. The area remained mainly agricultural until the 1960s, when it was developed from rural land acquired by Bill Teron. Bridlewood-Emerald Meadows has experienced rapid growth since that time, and has developed into a unique neighbourhood with its own character and commercial services. Here’s an infographic that describes this neighbourhood as a Village of 100 (2011 data).